FCI worked with a team of experts to create a manual and training on turfgrass maintenance with the focus of reducing environmental impacts. The 6 hour class includes presentations and class exercises and discussions. 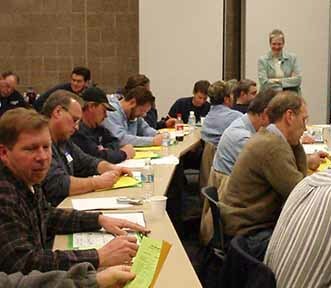 An MPCA voluntary certification test in turfgrass maintenance best practices is offered at the end of the class. 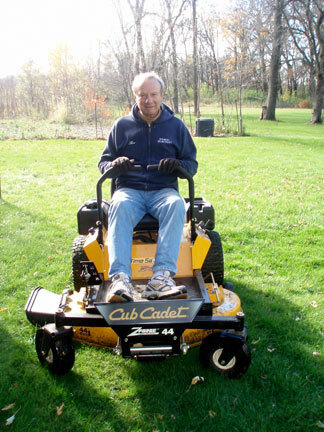 The training is directed at those that maintain turfgrass, property managers that hire maintenance companies, and those interested in protecting water quality. This course will teach you how you can do your job more efficiently by giving the plants what they need (the right amount at the right time) to stay healthy. Armed with this information, you can reduce use of fertilizer, pesticides and water for irrigation and at the same time reduce the pollutants ending up in our waters. How does turfgrass management affect surface and groundwater. To learn more about the training or to find out about upcoming training classes, refer to the MPCA website or our website under Training Calendar. To schedule your own training class or a shorter presentation, please call us at 763-478-3606. All training materials are available for review and printing from the MPCA website. Funding for the development and testing of this course courtesy of Mississippi Watershed Management Organization. Funding for the ongoing program is provided by MPCA through a grant from the US EPA, Section 319 Nonpoint Source Management Fund. Voluntary Certification provided by Minnesota Pollution Control Agency.